OVER THE last 10 years indie music has rediscovered and re-explored 1990s genres, but it is rare to see young musicians going back any further than that. Recently however, a new series of disparate bands - School Damage, Mermaidens, Starcrawler, and now The Shacks - have delved into different aspects of sixties and seventies rock, delivering fresh new presentations of those forms. The Shacks - singer/bassist Shannon Wise (19 ) and guitarist/producer Max Shrager (21 ) - are not immune to 1990s influences. Their indie is of the distinctly dream-pop variety, but shot through a throughly 1960s filter. Drawing on the more pop side of psychedelia and the whimsical outer fringes of acid-rock, the songs are hazy (hence the album title ) blissed out, full of mellow vibes, accentuated by waltz times, ambient noises, and hushed vocals. T.Rex is reincarnated on 'Cryin', and when was the last time a new, young, band reminded you of Country Joe and The Fish ('Blue & Grey' )? Lyrically, these are meditations on twenty-something yearnings for romantic escape with decidedly hippie overtones: "Everyone will be on the ground, at peace with everybody in the desert" ('Sand Song' ); "sneaking through the wheat fields and plains" ('Texas' ); "Let your love water me like a flower" ('Let Your Love' ). A strong pop and melodic sensibility, and the occasional knack for a good hook, is on display here, making The Shacks ones to watch. 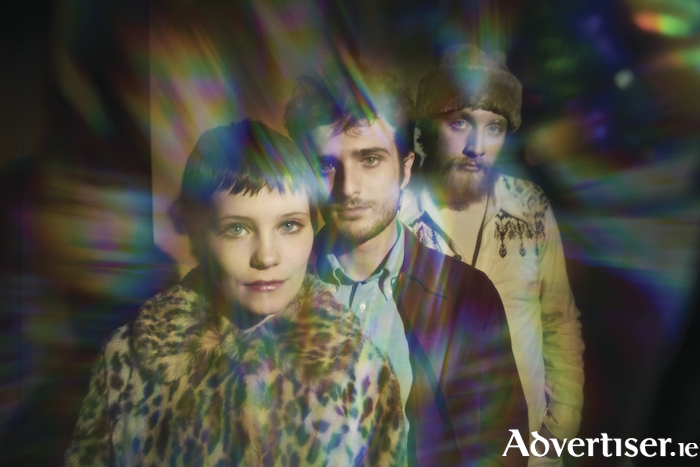 The Shacks play the Róísín Dubh on Sunday May 27 at 8pm. Tickets are €14/12.